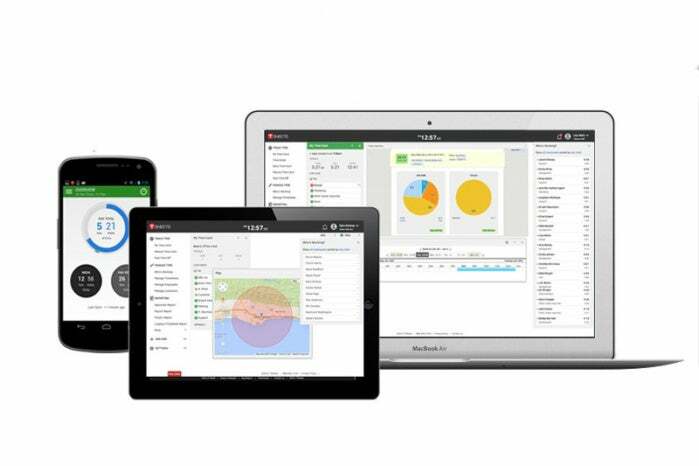 TSheets has great timecard management and integrates with QuickBooks Online and Xero. I have long been on a search for a good time tracking app that integrates well with a business accounting package. While it’s been quite some time since we’ve taken a look at it, FreshBooks offers excellent built-in time tracking and continues to up its business accounting game. For my money (For real! I pay for and use) Marketcircle’s Billings Pro is the best time tracking and invoicing software I’ve had the pleasure to use, but it’s not an accounting package, so I still have to pay for QuickBooks Online to track income and expenses. 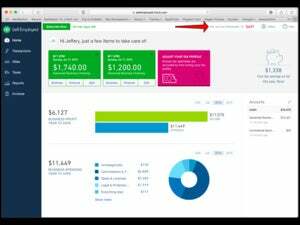 I also have to create duplicate invoices, one that I send from Billings Pro and another for accounting from Quickbooks Online. I’ve recently had the pleasure of playing with TSheets, an online timecard app that integrates with QuickBooks Online and Xero, and there’s a lot to love. It offers great time tracking and timecard management with a ton of integrations that make it very versatile. TSheets (free for one user; pricing and fees for multiple users available) is a web-based time clock application, similar to Redcort Software’s Virtual TimeClock, that helps you track employee’s time, whether they work in a physical office or in the field. TSheets provides browser-based clients for Macs and PCs and other portable devices that have browsers but no downloadable app options. There are standalone apps for iOS and Android devices (you can use tablet devices as kiosks for login if you choose), with options for clocking in via text, Twitter, and telephone. The iOS and Android apps also provide real-time location tracking for employees who are on the clock (it does not track anyone who is not clocked in) which you can use to confirm that field employees are where they say they are and to guide you if you need to figure out which of your field employees it makes the most sense to send to a specific location. From a management perspective, TSheets offers excellent tools for scheduling employees, managing overtime, and approving timecards. Managers and employees have the ability to adjust timecards to reflect actual time worked, but it’s important to note that TSheets keeps an audit trail that is Department of Labor compliant, so any changes made are tracked and can be used in the event of some kind of dispute. If you need to keep a handle on overtime, you can install a TSheets add-in that will send managers alert messages when employees are working overtime. TSheets also provides an add-in that allows managers to schedule and easily adjust the schedule for employees, which is particularly useful for restaurants and other businesses that don’t work typical 9-to-5 hours and who need to make sure everyone knows when they need to be in and ready to work. One of TSheets more powerful features is its integration with online accounting packages such as QuickBooks Online and Xero. TSheets can automatically import information from these accounting packages, such as client and job information, and have your employees link that information to their timecards. These integrations work well, but at this time they require you to approve time and then export data to your online accounting package of choice. I did see a demo of a TSheets integration with QuickBooks Online that is expected to be released before the end of the year. This new integration allows you to approve time sheets and work with TSheets within QuickBooks Online, providing a unified experience that doesn’t force you to bounce between the two online interfaces. If you aren’t using either of these online accounting applications you can export time sheet data and import the resulting file into your accounting app or payroll service. As much as I love TSheets, and I do, as is the case with so many accounting and time tracking applications, sometimes TSheets doesn’t think simply enough. For some businesses what’s really important is to be able to track and invoice for time worked on a particular project. With TSheets and QuickBooks Online it’s assumed that you’re going to use QuickBooks payroll service, so there’s no billing until you’ve set up payroll. I did not get to test it, but it appears that Xero will allow for time billing without requiring payroll services. If you don’t use either of these accounting packages TSheets offers a basic invoicing add-in that may suit your needs, but TSheets isn’t an accounting package, so you will still need something in addition to TSheets for accounting.